Businessman Raivo Hein is hoping to start building a bridge across the Suur Väin strait between the island of Saaremaa and the Estonian mainland already in 2020 if the government approves the idea. 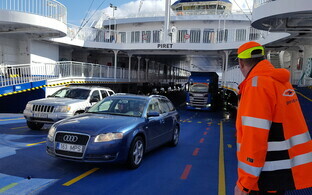 The project would be completed in three years and cost up to €500 million, regional newspaper Saarte Hääl said. 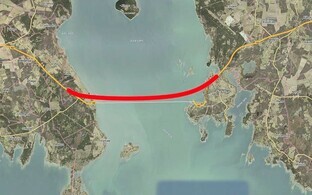 Hein's plan actually includes two bridges, as once the bridge across Suur Väin is open, a second one would then have to connect the islands of Saaremaa and Hiiumaa in the future. "We will bring the islands back to Estonia, and we will make the demographic and economical development positive again," Hein told the paper. As for sources of funding, Hein isn't planning to bother the state. All of the capital is to be raised from private investors, the Estonian pension funds, the Nordic countries, and bank loans. Hein told ERR's radio news on Friday that over the last three months he and fellow businessman Raivo Kütt (who is car importer Amserv's CEO) have met with various businessmen, financial companies, and funds, plenty of which had shown real interest in the bridge project. Though any decision to invest is difficult as long as there are no specific plans. This is the reason why the project needs the backing of the state. With it, there would be the confidence investors require to come on board, Hein said. 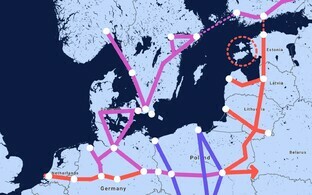 Like elsewhere in Europe, companies and individuals would pay to use the bridge. The fee would be somewhere in the range of a current ferry ticket, with the option of a lower and state-subsidized contribution from residents of the island. "Naturally, if the state is interested that residents can cross over the bridge for a lower fee, then some sort of subsidy will have to be continued," Hein said. This reduces the risk of the project to politics, the businessmen think. They had a meeting scheduled with Prime Minister Jüri Ratas (Center) at the end of January, where they are hoping to get the government's position in the matter. 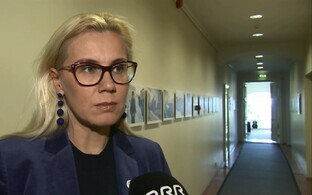 Hein and Kütt told business paper Äripäev's radio station that the bridge would run parallel to the current navigable channel between Virtsu on the Mainland and Kuivastu on the island. The bridge would run across Suur Väin on pillars of increasing height until its high point at some 30 m above the water. At the highest point the bridge could be raised as well to allow for ships to pass beneath it. The plot of the former Virtsu fish processing plant could be the beginning of the bridge, with the other end somewhere north of the port in Kuivastu. Plots at both ends are privately owned and would need to be bought. 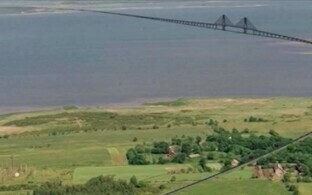 No company in Estonia has the necessary equipment to build a bridge this size. The closest businesses who could are located in Latvia, Finland, Sweden, and Denmark, which is why an international tender would most likely be necessary. 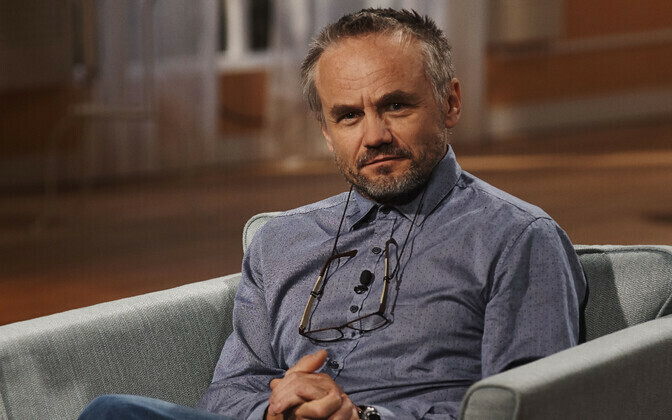 Hein said that a number of Nordic pension funds do have the requirement of placing their money in the infrastructure of Nordic countries, but that there is a lack of objects for them to invest in. "In Europe €60 billion are injected into the economy every month. At the end of the day, this will still end up in real estate, infrastructure, and the stock exchange," he said. Talking about the cost of the bridge, Hein said that based on existing analyses the cost would be €400 million at present. "But let's be realistic and say it's rather €500 million," he said. Hein would like the bridge to benefit everyone in the future. "The Estonian people currently have €8 billion parked in their bank accounts that aren't earning anything. 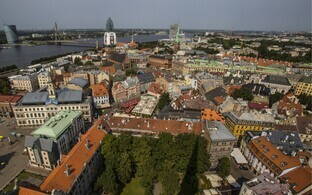 The idea is to list the company after the completion of the bridge, so that every person in Estonia can benefit from it," he added. 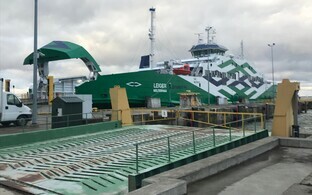 Port of Tallinn subsidiary TS Laevad last year ferried 1.66 million passengers and 0.71 million vehicles between the mainland and the islands of Muhu and Saaremaa.